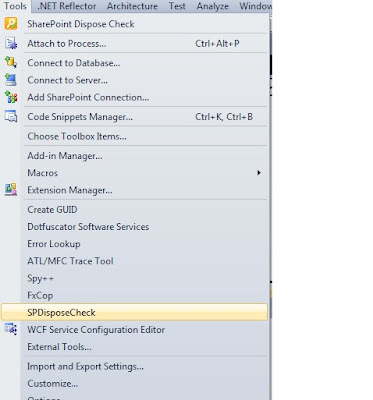 SPDisposeCheck utility checks whether you have disposed the unmanaged SPSite and SPWeb objects correctly or not. 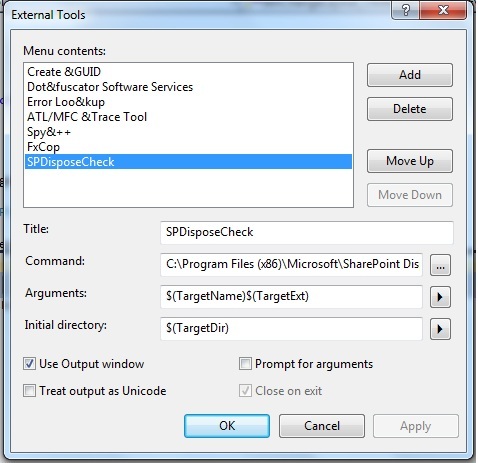 Its a tool that every SharePoint developer needs to have integrated in their Visual Studio boxes. 3. 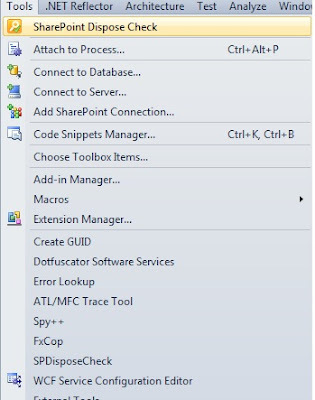 Open your Visual Studio solution project and Build it. thanks for your post. I have two problems. 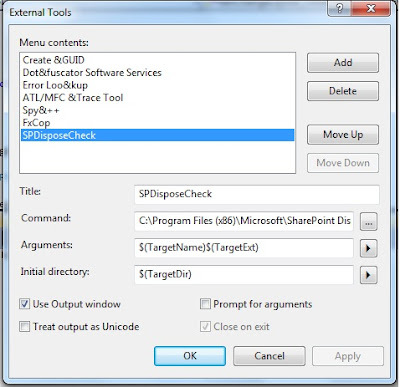 When I add the SPDisposeCheck as an External tool. 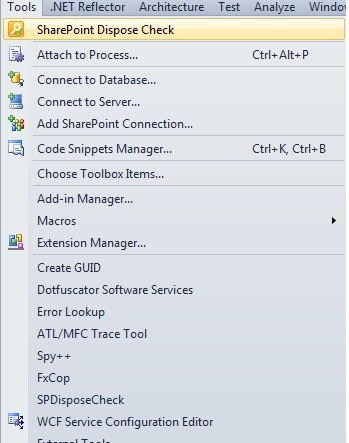 It works fine except errors are not shown in the Visual Studio Error Message Section (As shown in 6.). 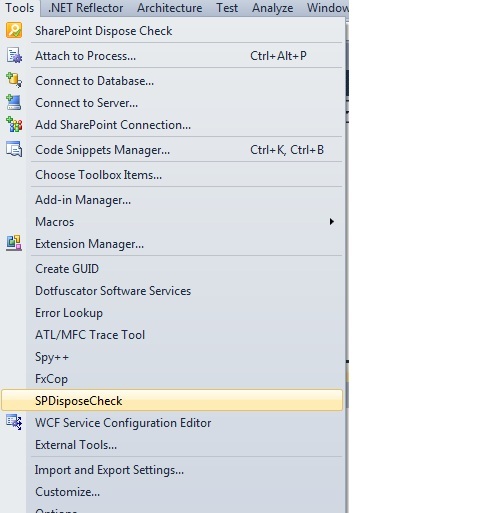 Second problem is, that when I click on SharePoint Dispose Check in the Tool Menu (See 7.) The Setting form is empty and if I fill the settings out and try to save it, it is not saved. I have exactly the same problem. Settings are not saved. Where does it store those settings ? Access rights problem ? I also have the same problem, settings are not saved, no error messages occur. VS is started as Administrator, so access rights should not be the cause. thanks for your posting of installation steps.